To know the main funds destined to regional policy. To understand the criteria for granting aid from the EU’s cohesion funds. The regional policy of the EU, which is also referred to as its Cohesion Policy, aims to promote greater solidarity and to thereby reduce disparities in the levels of regional development. At present, this is the second most important item in the EU budget. To achieve the objectives set out in the Europe 2020 Strategy. To reward performance, reserving an “efficiency bonus” for the regions that come closest to meeting their objectives. To promote an integrated programme that will allow different projects to be financed from different funds. To focus on results and monitor progress with greater rigour. To reduce the amount of bureaucracy by establishing common guidelines for the management of the five different funds available. Although all the EU regions benefit from the funds currently dedicated to regional development, the EU gives special attention to the regions of Central and Eastern Europe. During the 1980s and 1990s, the main beneficiaries of the funds were Spain, Ireland, Portugal and Greece. Less developed regions. GDP < 75% of the EU average. They will receive funding for 75 – 80% of the cost of the projects. They receive 68.7% of the total funding. 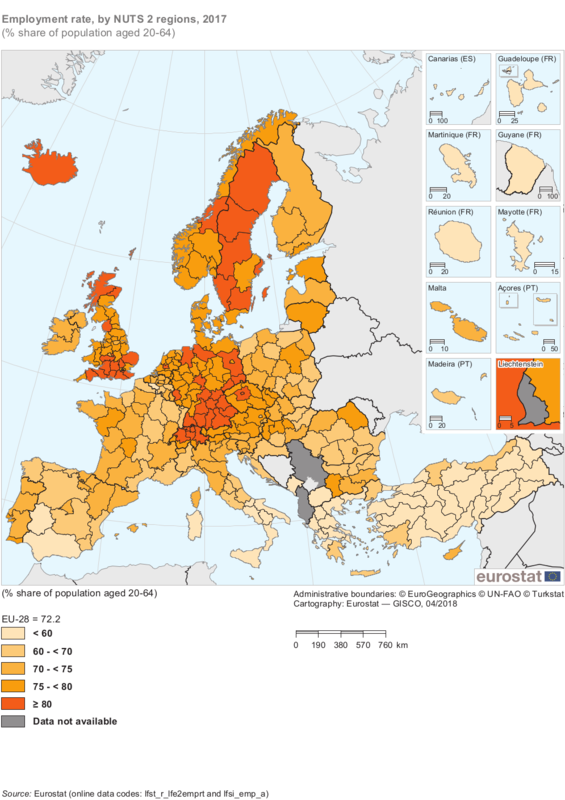 Regions in transition. 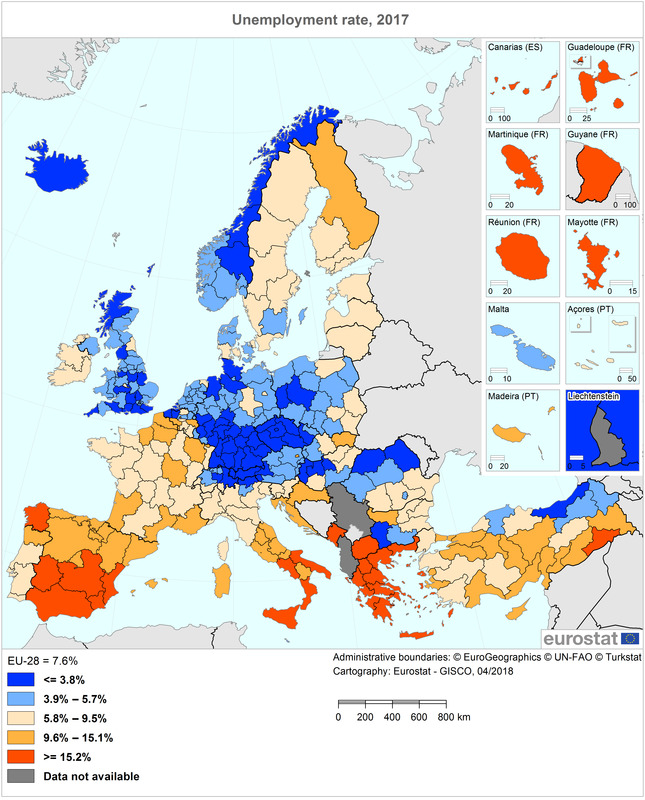 GDP between 75 and 90% of the EU average. They will receive funding for 60% of the cost of the projects. They receive 11.6% of the total funding. More developed regions. GDP > 90% of the EU average. They will receive funding for 50% of the cost of the projects. They receive 15.8% of the total funding. 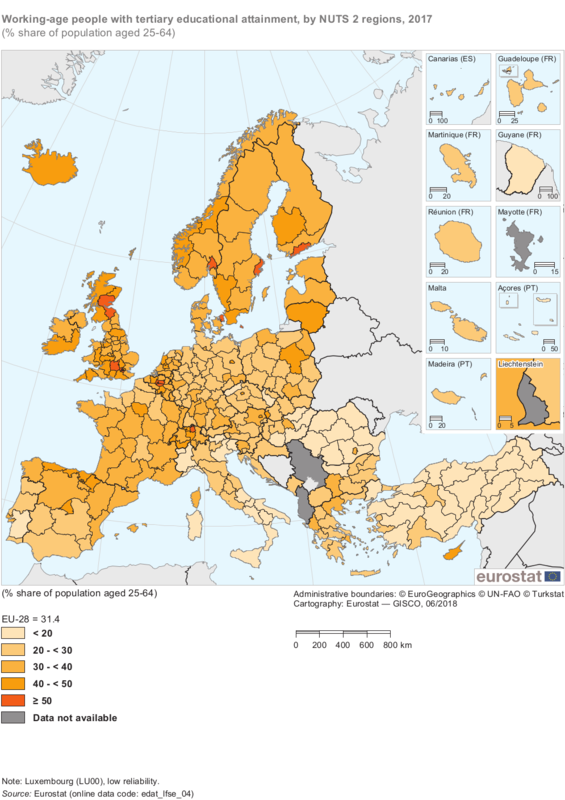 The European Regional Development Fund (ERDF); these funds date from 1975 and are destined for general infrastructure, innovation and investment. The European Social Fund (ESF); these funds are destined for professional training and other programmes that help to support and create employment. >15 Presentation about the history of regional policy in the EU until 2007. (en). >15 The Cohesion Policy 2014 – 2020 (es).